As an Amazon FBA seller, it’s important to take advantage of any help available in order to streamline your business. A simple search will reveal any number of expensive tools which may, or may now, help you to optimize sales and you can find a few comparisons of these on our blog page. 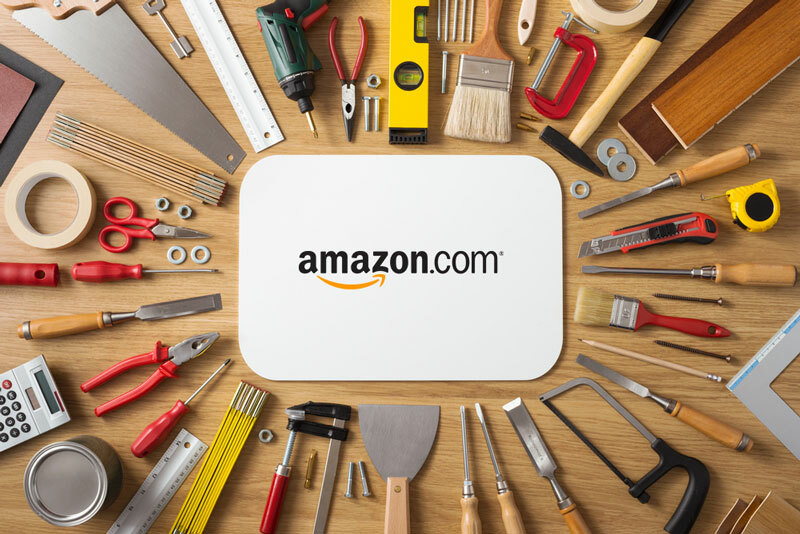 We do, however, understand that, particularly when starting out as an Amazon seller, budgets can be tight or even non-existent so we’ve put together the following Lucky 13 list of free Amazon tools to help you improve your searches, identify products and get handy notifications and updates as well as advice and tips, completely free of charge. Camelcamelcamel is the curiously named creation of Daniel Green from Oakland and is a positive treasure chest of information and resources for the Amazon FBA seller. With just a short registration process, camelcamelcamel is completely free to access so there’s no chance of users getting the hump with expensive downloads and tutorials. The site features a tools section with free add ons and downloads, a guide to popular products, top price drops and a blog by Daniel Green. Users can also sign up for alerts on price drops and view Amazon history charts. 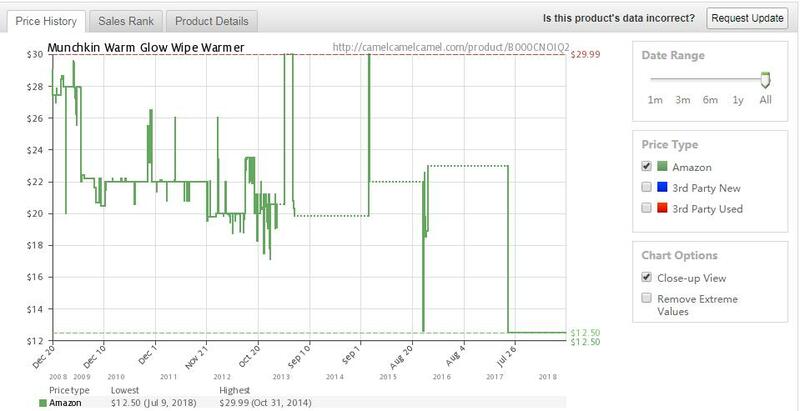 The sales rank and price history data is very useful for amazon sellers. For more information on camelcamelcamel, click HERE. AMZ Finder – This powerful feedback & review management tool is a must-have for the serious Amazon FBA seller. It offers a free auto-email plan for FBA sellers, anyone can have 500 free emails per month in order to optimize listings and increase sales. The site also features a transparent pricing plan and a great blog section which is updated regularly and includes product comparisons and advice on every aspect of selling on Amazon. To find out more and to sign up for a free trial, click HERE. Keepa is a basic but useful toolbox run by Sascha Arthur from Berlin. 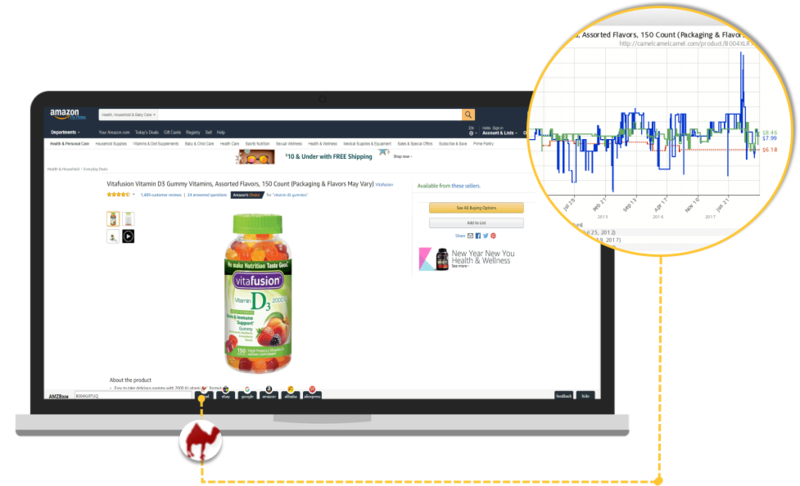 Although not as comprehensive as some tool resources, Keepa is a useful site to “keepa” to hand for browser extensions including an Amazon price tracker and the Deals section which highlights popular and price dropped products for Amazon sellers. As a former tech student and tutor, Arthur created Keepa when he began his own journey as an Amazon seller in 2015. To find out more about Keepa, click HERE. A free App available at the Chrome Store, AMZBase is created to help speed up product searches for Amazon sellers. The App allows users to quickly get hold of product ASIN numbers and product descriptions and gives straight forward access to a number of sites directly from the menu. Hailed as a way to supercharge your Amazon product research, Unicorn Smasher is a colorful website full of useful downloads, information, statistics and support. Unicorn Smasher allows users to integrate with AMZ Tracker and offers a host of features including monthly estimates, fulfilment details, revenue estimates, export tools, data analysis and…….unicorns – after registration, users have the option to add ‘pink branding’ to their site. To sign up to Unicorn Smasher (and to get your unicorns) click HERE. 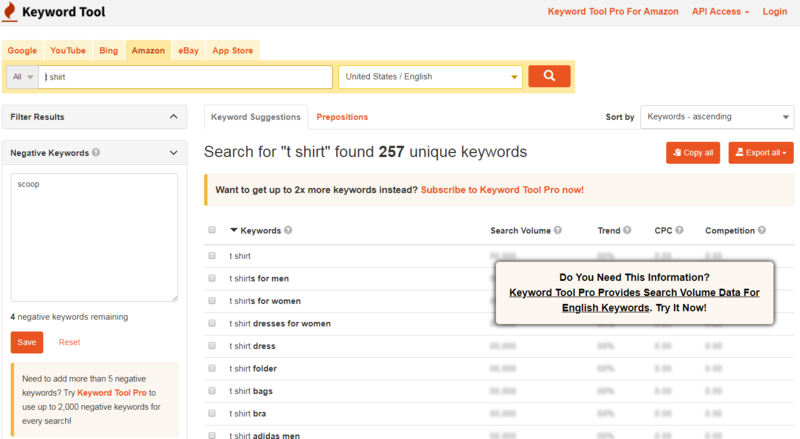 Keyword Tool needs very little introduction – as the name suggests, this site is a keyword research tool for Amazon sellers. Free to use without even having to register, the tool provides up to 750 long-tail keyword suggestions for every search item and claims to be 99.99% reliable. Users can choose to search keywords in Google, YouTube, Bing, Amazon, Ebay and App store and can filter by country. Although basic, this is a great tool to keep on your favourites list for quick and easy searches. To find out more about Keyword Tool click HERE. Sonar-tool is a Chrome extension for Amazon keyword research. Using complex algorithms, the tool collates data on the products that Amazon shoppers are searching for and puts it together into a database. A great tool for those who have not yet decided what it is they’d like to sell, this clever extension can be used as an idea generator. Hailed by reviewers as handy and effective, the extension also includes the option to optimise back end keywords and users are able to develop their own profit dashboard. Free to install, the Sonar-tool can be added to any device and comes with a free user guide for added ease. 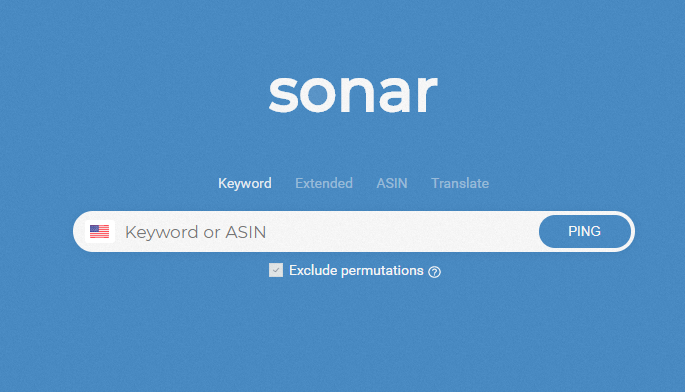 To install the Sonar-tool, click HERE. Available from the Chrome store, DS Amazon Quick View is a productivity extension for Amazon FBA sellers. 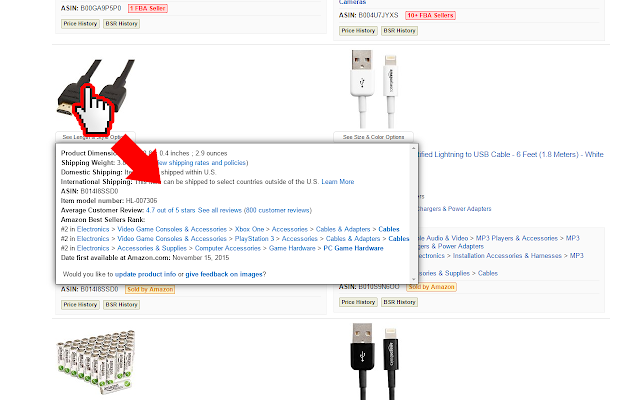 Free and quick to install, DS Amazon Quick View allows users to add Amazon ranking and seller information to a search to view full product details instantly. Although free to install, users should be aware that there is a charge for support so a forum may be the best bet for troubleshooting any issues. A handy tool for quick checks, the App can be accessed HERE. 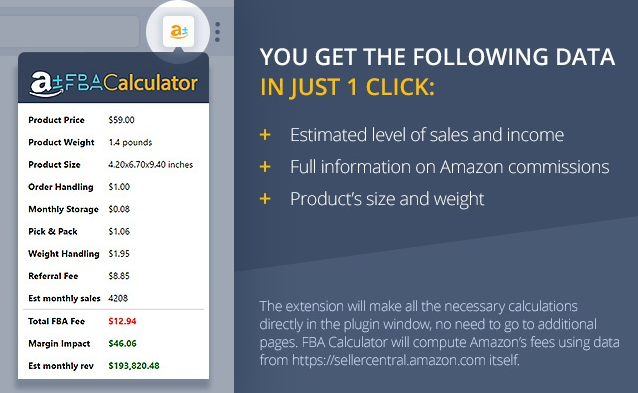 FBA Calculator For Amazon is an essential tool for sellers looking to quickly calculate profit margins on products while on the move. Making a profit with Amazon selling takes research and careful calculation. Available for all marketplaces for free from the Chrome store, FBA Calculator For Amazon allows users to estimate profit on any product from given prices by examining cost price, estimated sales and a number of other variables – essentially doing the leg work for you! Once installed, the App can be activated while on the product page on Amazon for a fast and accurate profit estimate. 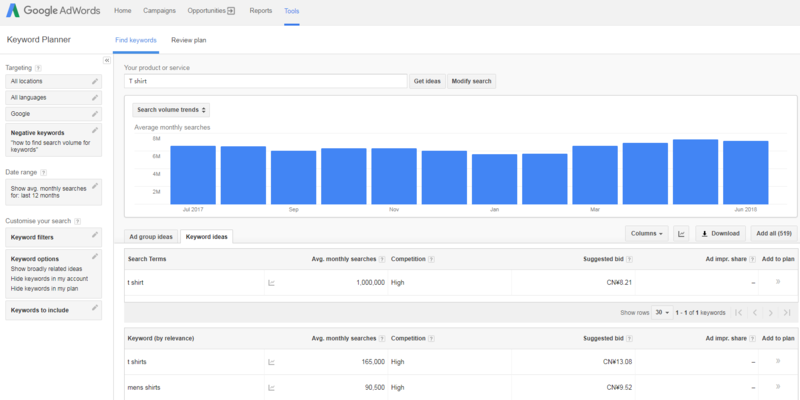 A keyword search tool with a difference, the Google Keyword Planner is a clever way of keeping on top of keyword trends for Amazon FBA sellers. Rather than just a simple keyword search engine, the Google Keyword Planner can conduct a search using general words or phrases in order to generate ideas. Updated in January 2018, this is a great tool for sellers looking for ideas on products to sell, the site also compares keyword trends and offers a number of resources including blog posts highlighting advice and tips as well as other users success stories. The site also offers live support, making it ideal even for absolute beginners. New users can access Google Keyword Planner for free via their Google ad account. To sign up for Google Keyword Planner, click HERE. Google Trends is a simple but effective way of keeping on top of those all important trends. Essential for Amazon FBA sellers, the site provides an at-a-glance list of trending stories, complete with historical data, providing a snapshot of what’s hot and what’s not. An online search option allows users to look at product and subjects which may not appear on the list and access data. Updated daily, this is a great site to put on your favourites list to keep up with – and ahead of – up to the minute trends. To find out more about Google Trends, click HERE. Launched in 2008 in New York by Peter Stern, Bitly promises to ‘unleash the power of the link.’ A link optimization program, Bitly Enterprise is now a force to be reckoned with in the world of Amazon FBA selling. The website features a number of helpful resources including webinars, blog posts, ebooks and case studies to offer advice and tips to both fledgeling sellers and selling veterans. The webinar ‘Rethinking the link with Bitly Enterprise’ gives an in depth look at focussing on the link as an asset, creating and managing multichannel campaigns and boosting click through sales. To watch the webinar now free of charge, click HERE. Reviews matters a lot for an Amazon FBA seller. However, it is hard to get some positive reviews since a lot of customers are not willing to leave reviews after receiving the product. To boost your sales, you can use Cashbackbase to encourage both sales and reviews. According to Amazon’s review policy, seller are not allowed to ask customers to leave reviews. 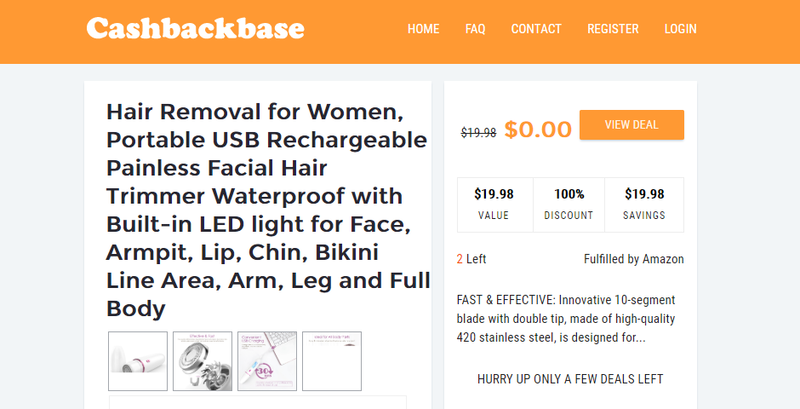 However, Cashbackbase customers would love to review your product of their own accord. To learn more about it and submit deals, click HERE. Getting started as an Amazon FBA seller can be a tricky business with occasional unexpected costs so we hope that this guide to free services has been helpful – and if it has, don’t forget to leave a lovely review for the kind providers!